We commence on Wednesday 7th October 2015 at West Park Rugby Club with our registration night where Jerry Lee will tie some flies. Go to the Contact page for directions. Any new members will be made most welcome and introduced to the club if they come along. There is a bite to eat in terms of a little supper on this night. We have Rob Denson kicking us of on Wed. 14th October with reservoir and river trout flies. The last guest speaker is a double act from Nottingham with Bob Lomax and Wendy Gibson demonstrating innovative techniques. This year the Beginners and Improvers programmes include all the bronze and silver level flies for the national FDG accreditation awards. The Beginners Programme will be led by Jerry Lee and the Improvers by Melvyn Wood. We have scheduled “Buddy” nights in the programme and on each of these nights specific flies will be tied by an instructor as well as individuals having the opportunity before hand to nominate an individual fly or technique that they want help with, demonstrating or coaching on. The Roy Jones trophy match will be at Stocks Reservoir next year on 7th May 2016. We are going to have 3 classes of fly tying competitions next year – the Apprentice Cup for “Beginners”, a new trophy for “Improvers “ and the Herbert Harris Cup for the new Advanced tiers group. The trio of Flies for these awards will be selected from the Bronze, Silver and Gold patterns and need to be handed in by the end Feb 2016. Generally anybody can enter any class providing they have not previously won it. The full programme is available to download below or take a look at the Events section. In addition to tying nights, Events will contain details of our fishing trips and competitions that are organised throughout the year. This entry was posted in Competition, Events, Fly Tying, Guest Night, News, Programme and tagged news, programme, roy jones on 28th July 2015 by Chris Carter. 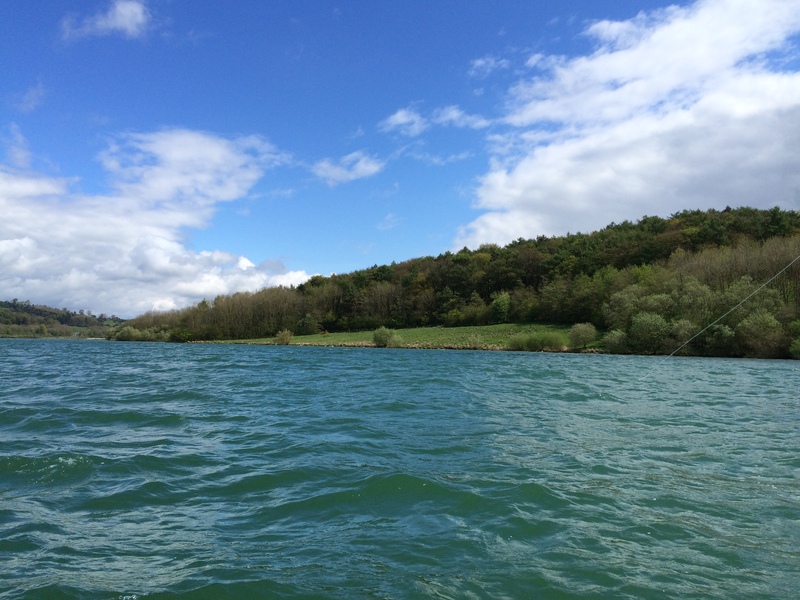 Just to let you know how we went on in the Roy Jones Trophy competition yesterday at Carsington Water near Matlock. Eight Leeds branch members fished. It was a wild, wet and windy day however despite this everybody had a great time with everybody catching except DH. It’s a beautiful lake with crystal clear water and a blue tint from the limestone. Judith Milner was 3rd with 4 fish, I was 2nd with 7 fish but Chris Carter was the winner with 120” from his 7 fish. Melvyn graciously decided not to put his card forward into the competition this year to let someone else have a go, which rightly or wrongly I accepted his wishes. Bob Lomax was true to his word and joined us our boat totalled 19 fish so we were just pipped by 1 by Chris & Mel. Bob steered me to my total including the biggest fish at 4lb but he led me astray to the “dark side” to catch the 23” fish – as you know I am a purist when it comes to fly fishing. I’m off to the Dee today and suspect I won’t have as much fun up there! 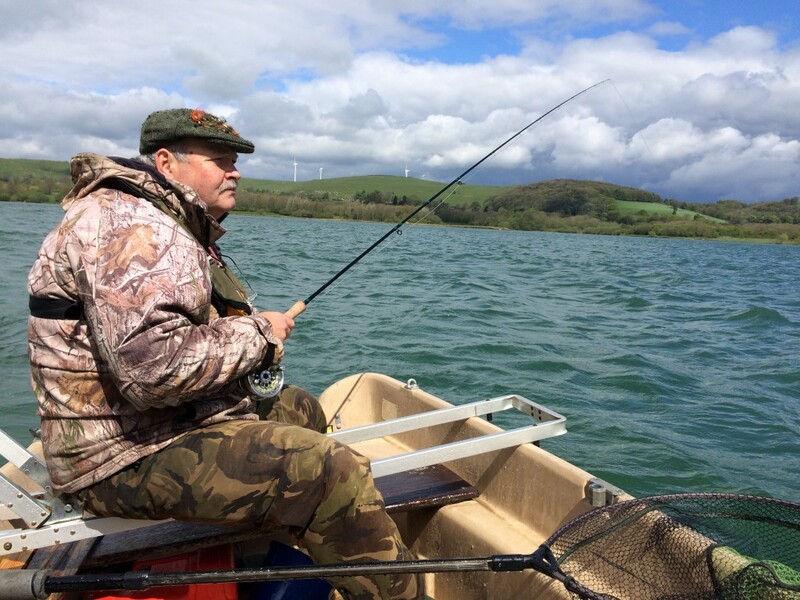 This entry was posted in Competition, Events, Fishing, News and tagged competition, fishing, roy jones on 10th May 2015 by Chris Carter.